Just want to let you know that this post is sponsored by my friends at Mahatma Rice. As always, all opinions are my own. 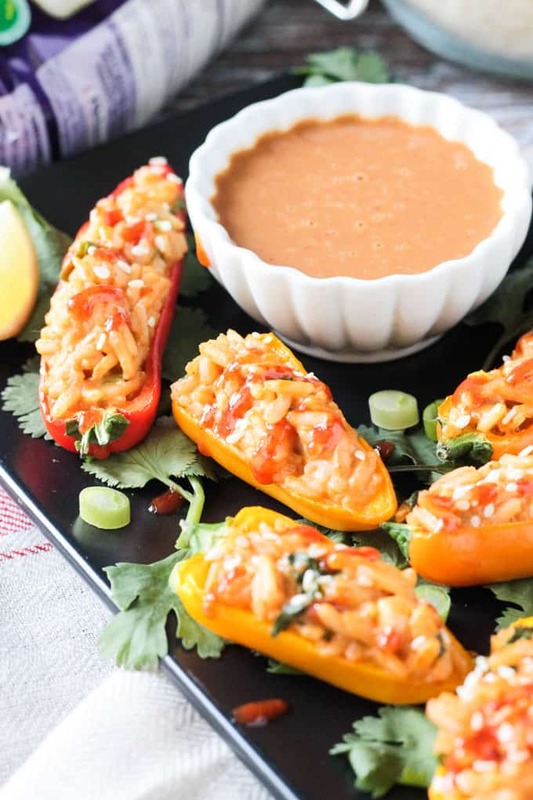 Spicy Peanut Rice Stuffed Mini Peppers – an easy, fun appetizer for parties and get togethers of any kind. I’ve said it before and I’ll say it again – we do snacking really well around here. The kids would certainly rather snack all day then sit down to a proper meal. 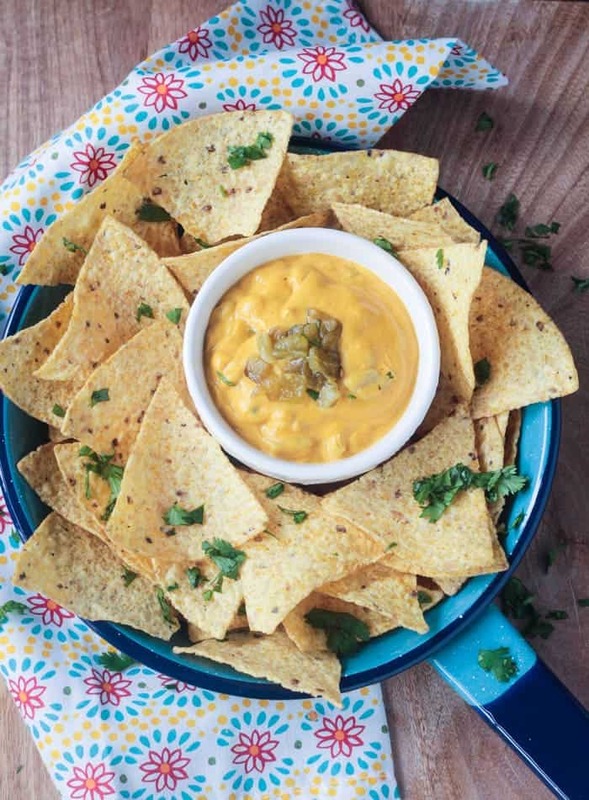 It just so happens that kid size food makes the perfect bite size party snacks, too. And these Stuffed Mini Peppers are so delicious and fun that you’ll want to serve them all the time. I used Mahatma Jasmine Rice for the stuffing in these peppers. 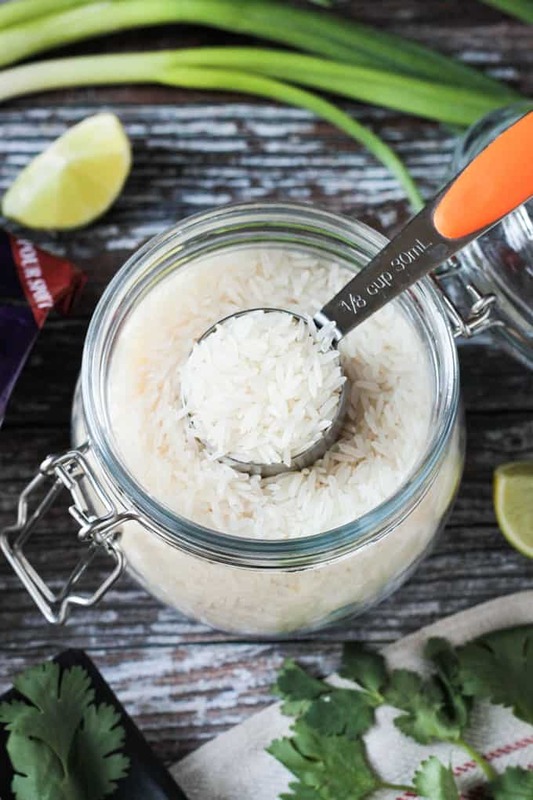 This long grain authentic Thai rice cooks up quickly ~less than 15 minutes!~ and perfectly tender. 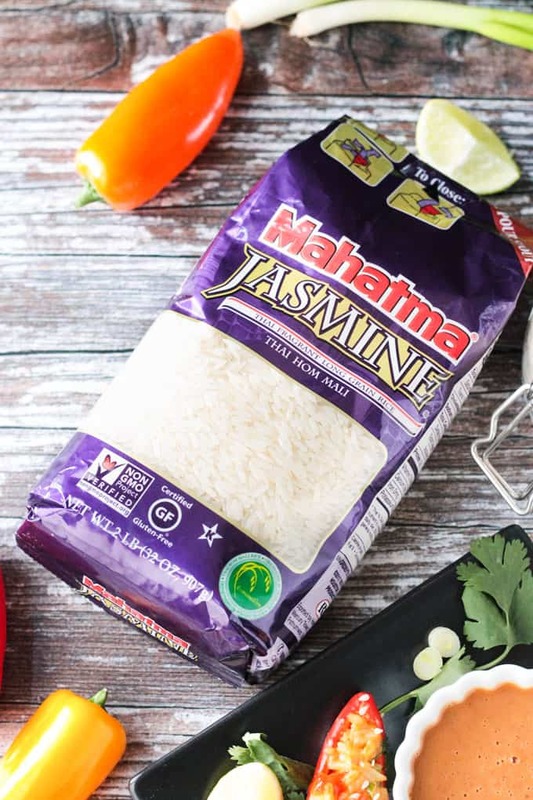 Use this handy Store Locator to find where Mahatma Rice products are sold near you. 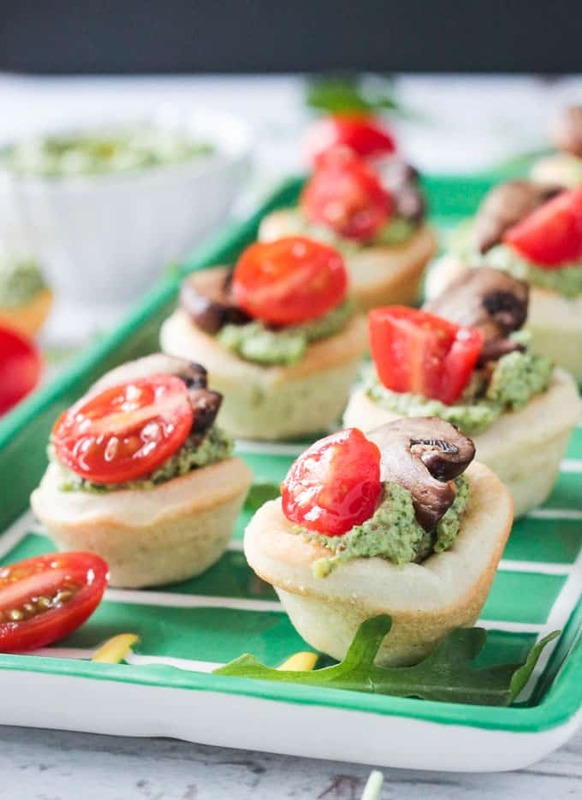 Finger foods and small bite snacks are perfect for parties. These mini peppers are the ideal size for nibbling. 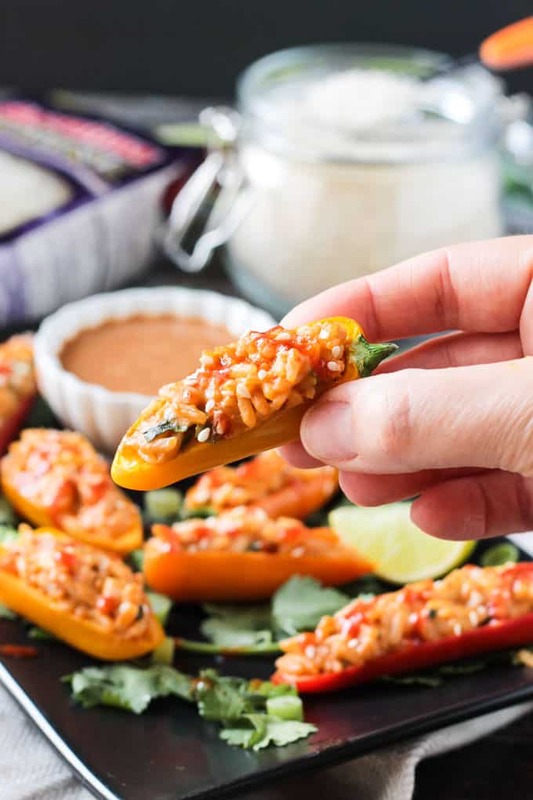 Get your madness on this March and plop down a tray of these Spicy Peanut Rice Stuffed Mini Peppers while you watch the basketball tourney. 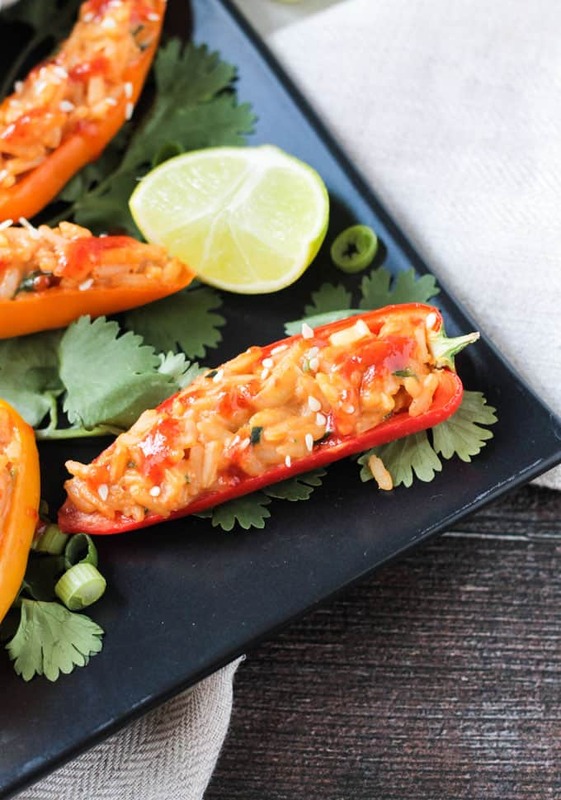 These cute little peppers can be as spicy or as mild as you like. I add just a bit of sriracha to the rice mixture to give it flavor. It’s the perfect amount for kids or those that don’t like too much heat. 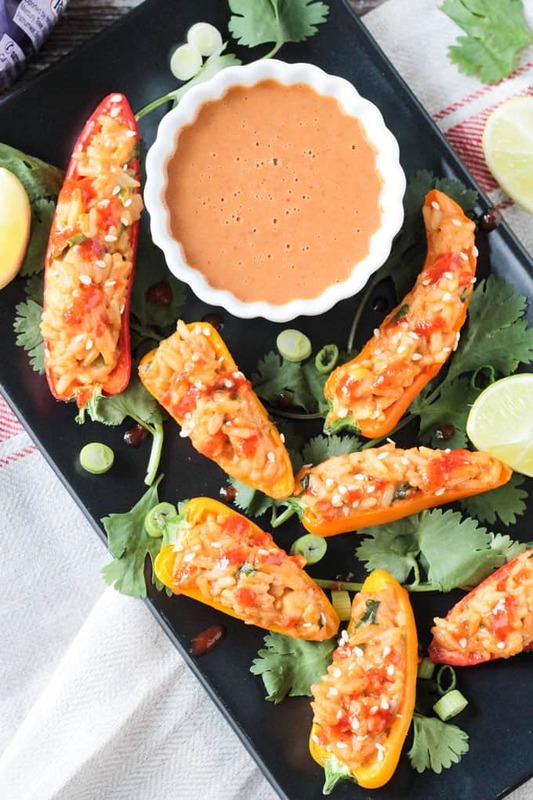 To up the amount of spiciness, drizzle more sriracha on top of the stuffed mini peppers…as much as you like. For a party, I like to drizzle half of them with extra sriracha and leave half as is. Then place the bottle next to the platter, so guests can add more if they wish. I hope you love these Stuffed Mini Peppers as much as we do. After you try them, please come back and leave me a comment below with your feedback and star rating. You can also find me on social media. Be sure to tag @veggie_inspired and #veggieinspired so I’m sure to see it. Enjoy! 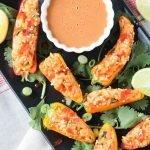 Spicy Peanut Rice Stuffed Mini Peppers - an easy, fun appetizer for parties and get togethers of any kind. Cut the mini peppers in half lengthwise. Remove the ribs and seeds. Place the peppers cut side up on a baking sheet and roast for 7-9 minutes. While the peppers roast, bring the vegetable broth to a boil in a small pot on the stove. Add the rice, stir, cover, and turn the heat down to low to simmer for 10 minutes, stirring occasionally to prevent sticking. 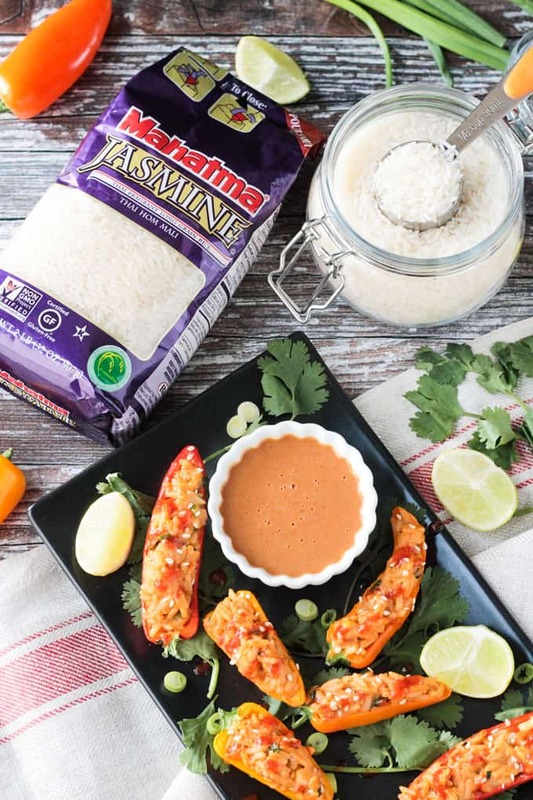 Meanwhile, while the peppers are roasting and the rice is cooking, make the Spicy Peanut Sauce. Add all ingredients to a small bowl and whisk until smooth. Taste and adjust if needed - add a dash more sriracha, lime juice, maple syrup, etc., to suit your tastes. When the rice is done cooking, add the Spicy Peanut Sauce to the pot and stir. Add the cilantro and scallions. Add 2-3 tsp of rice mixture to each mini pepper half. Sprinkle with sesame seeds. Drizzle with more sriracha, if desired. Serve immediately. Mini peppers – genius! We love appetizer nights and I’ve never thought to stuff the mini peppers. Not to mention, peanut sauce is my favorite and we eat rice daily. Thanks, Alisa! I thought the mini peppers were a fun change from chips, crackers, etc. Enjoy! This recipe sounds so good and perfect for serving at get-togethers too. Will be adding this to my list to try. 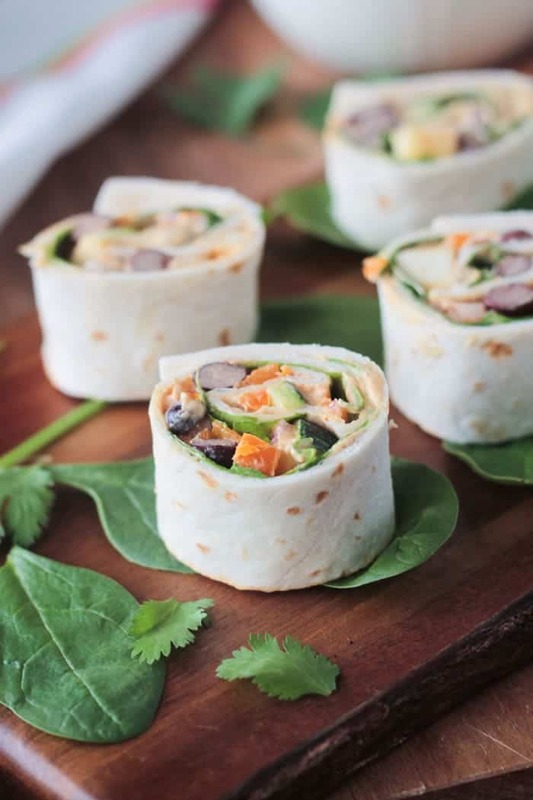 This looks like such a fun appetizer that I want to throw a party! Or maybe I should just make them and keep them all for myself!